Farm games always bring something peaceful, and extremely attractive. There, the players will be transformed into the true farmer, doing day-to-day farm work such as planting, watering, harvesting, feeding chickens, etc. There are many farm games in the world, including several prominent names such as Hay Day, Farmery, Sky Garden… The games I just mentioned was developed on a 3D platform, for something new, today I will introduce another game with 2D graphics very light so it can play on most phones running iOS or Android. 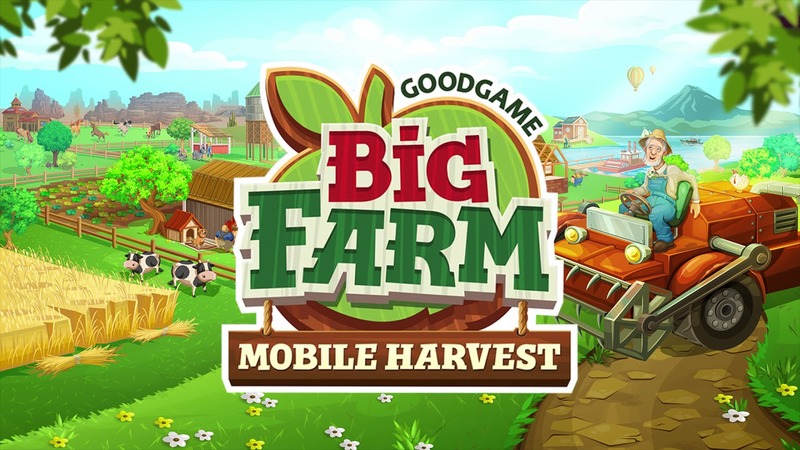 That’s Big Farm: Mobile Harvest, one of the first products by Goodgame Studios – A developer who has over 300 million users worldwide for its products. The game tells the story of an old farm where uncle George gives you, with a passion for farming, you have to manage and make it the most fertile farm in the area. 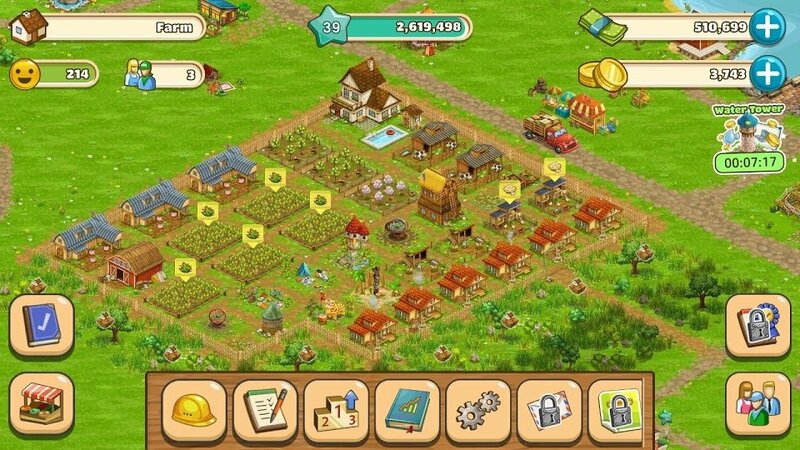 In Big Farm: Mobile Harvest, it’s your job to grow plants, harvest and care for all the animals on the farm. When harvesting agricultural products, you can sell them or make them into products and sell them in the market. With the proceeds, add your own production facilities, expand the green fields, build more animal shelters and decorate your farm. Like any other farm game, plants grow hourly, so you have to wait until the plants mature or use fertilizer (which can be bought in the store) to grow faster. Plants planting and harvesting are extremely simple, just touch the bare land and sow the seed into it. The game has a variety of plants, each with different harvesting time, amounts of money and EXP you will receive. 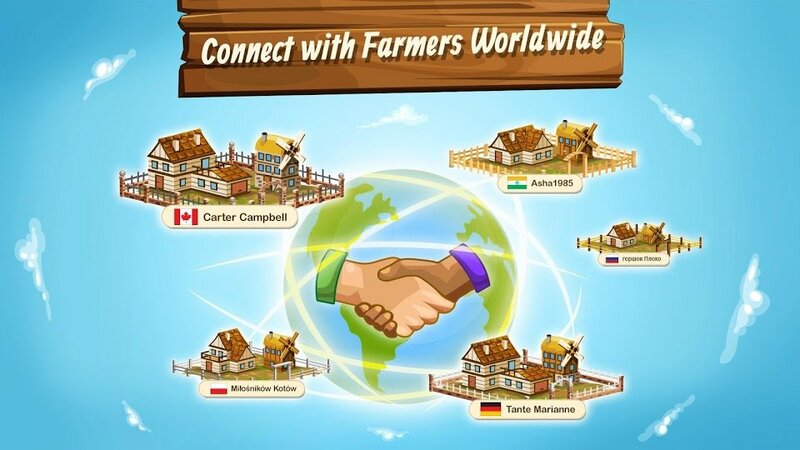 Every day, virtual characters visit your farm to buy some agricultural products and handicrafts, or they will sell useful items at extremely low prices. You will have a small shop selling your own products, you can set the price right and invite the neighbors to buy your goods. Big Farm: Mobile Harvest is different from other farm games when it comes to developing simple and colorful 2D graphics. Game show a peaceful large farm in the countryside. The functions are neat, reasonably simple and easy to use. 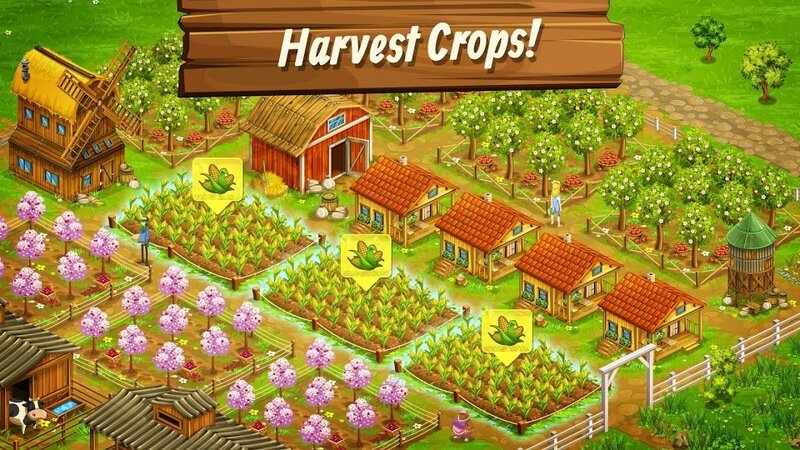 In general, Big Farm: Mobile Harvest is a good game to play in your free time, lightweight gameplay, though there will still be a level system for you to aim your way through gaming process. In-game items will be available for purchase in real money, and there will also be some small ads appearing occasionally. You can download the game via the link below. Game support for both iOS and Android with APK Mod unlimited money and more. To play the game, you will need to have a phone running Android 4.0.3 or iOS 8.2 or later. 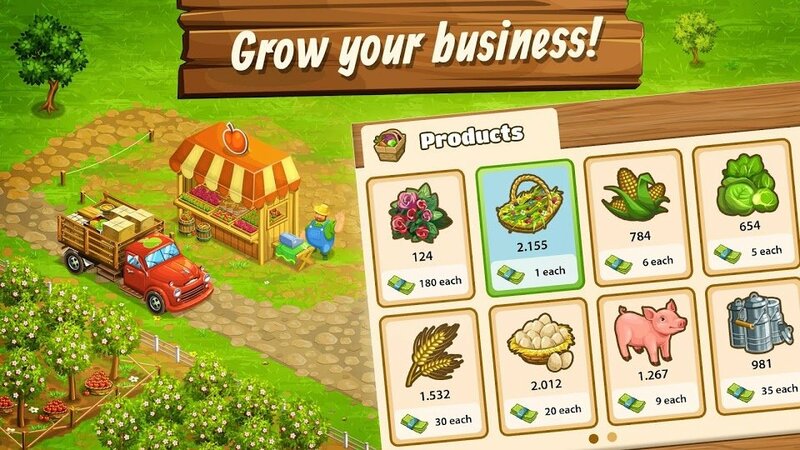 Big Farm: Mobile Harvest APK is ready to download! 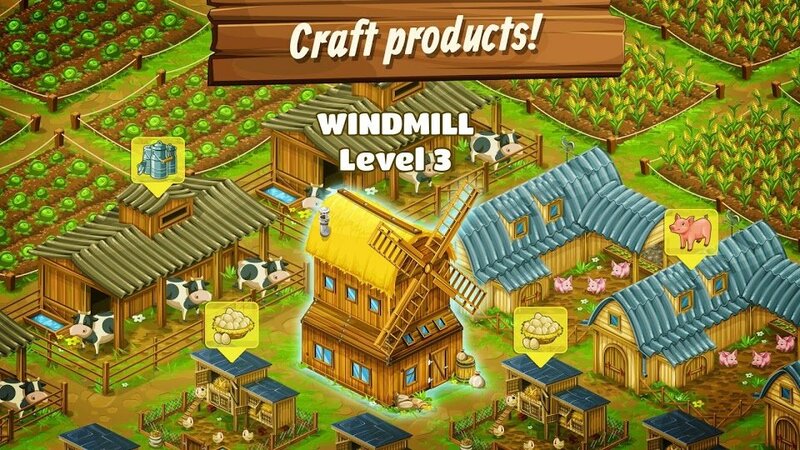 Depending on your needs, you can download Big Farm: Mobile Harvest MOD APK or Big Farm: Mobile Harvest Original APK. Or install from Google Play / App Store if you want.